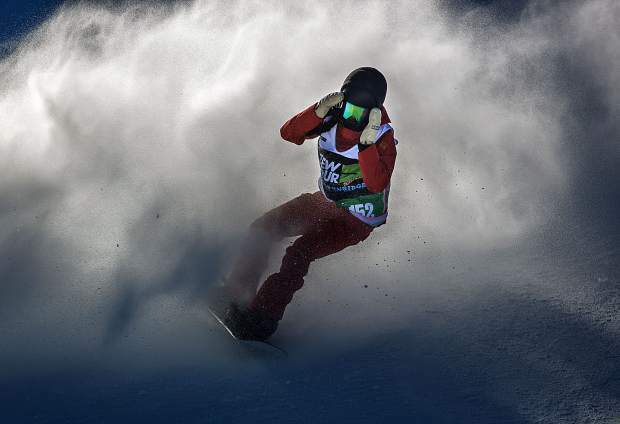 Alex Ferreira, of Aspen, reacts following his last run in Dew Tour's ski modified superpipe competition on Sunday, Dec. 16, at Breckenridge Ski Resort. Ferraira won the competition for the second year in a row. 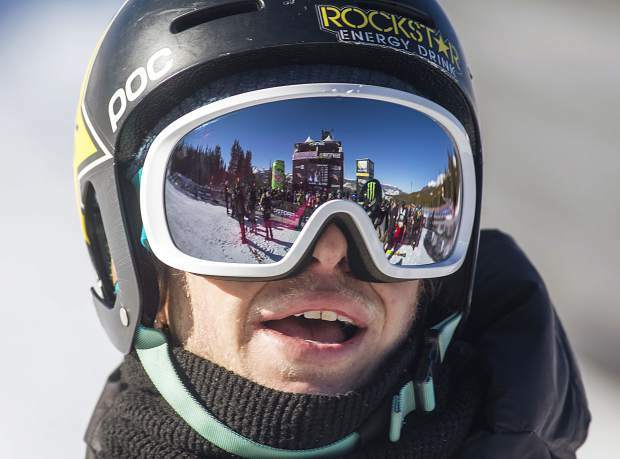 Alex Ferreira, of Aspen, smiles following his last run in Dew Tour's ski modified superpipe competition on Sunday, Dec. 16, at Breckenridge Ski Resort. Ferraira won the competition for the second year in a row. Alex Ferreira, of Aspen, executes a trick in Dew Tour's ski modified superpipe competition on Sunday, Dec. 16, at Breckenridge Ski Resort. Ferraira won the competition for the second year in a row. Aaron Blunck, of Crested Butte, watches for the final results at the Dew Tour ski modified superpipe competition on Sunday, Dec. 16, at Breckenridge Ski Resort. Blunck placed second overall. 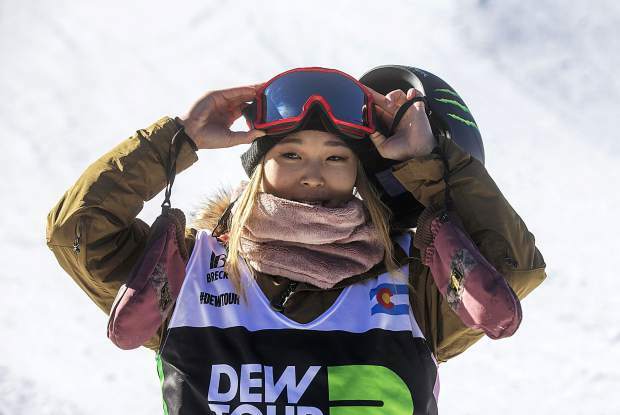 Chloe Kim smiles following her final run through the Dew Tour modified superpipe on Sunday, Dec. 16, at Breckenridge Ski Resort. Kim won the competition. 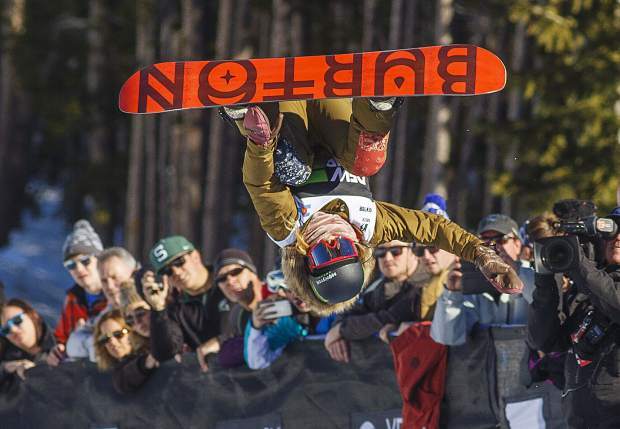 Maddie Mastro executes a trick in midair during Dew Tour's modified snowboard superpipe competition on Sunday, Dec. 16, at Breckenridge Ski Resort. Mastro finished in second place. Chloe Kim executes a trick in midair during Dew Tour's snowboard modified superpipe competition on Sunday, Dec. 16, at Breckenridge Ski Resort. Kim won the competition. David Wise executes a trick at Dew Tour's ski modified superpipe competition on Sunday, Dec. 16, at Breckenridge Ski Resort. Wise placed third overall. Jiayu Liu reacts following a crash at Dew Tour's snowboard modified superpipe competition on Sunday, Dec. 16, at Breckenridge Ski Resort. Liu placed fourth overall. David Wise’s halfpipe past consists of two Olympic gold medals and four Winter X Games gold medals. But it’s halfpipe’s future he’s worried about. 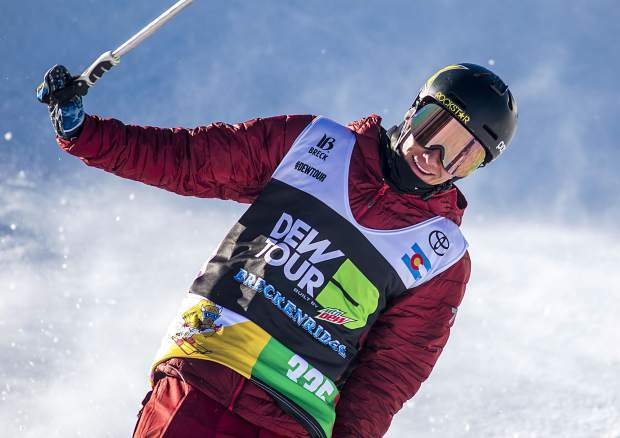 The 28-year-old finished in third place in Sunday’s Dew Tour modified superpipe competition behind teammates Alex Ferreira, a former Ski & Snowboard Club Vail athlete, and Aaron Blunck, a 2014 graduate of Vail Ski & Snowboard Academy. Wise was as candid as can be about where halfpipe riding goes from here. Where does the halfpipe go from here? 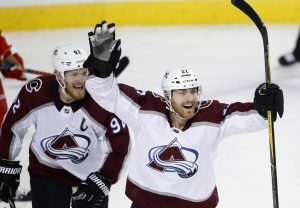 That’s the common refrain this week at Breckenridge Ski Resort among the prominent athletes and figures at the heartbeat of snowboarding and freeskiing’s park and pipe community. 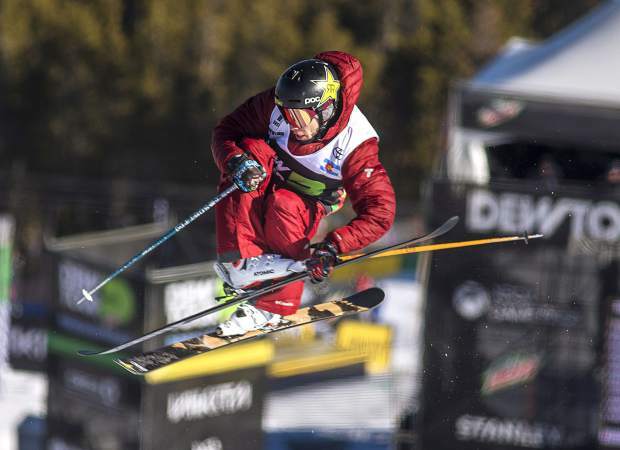 In fact, Wise — who finished with a score of 84.67 — wasn’t the only freeskier on Sunday’s modified superpipe podium who threw out the idea of having more creative runs. 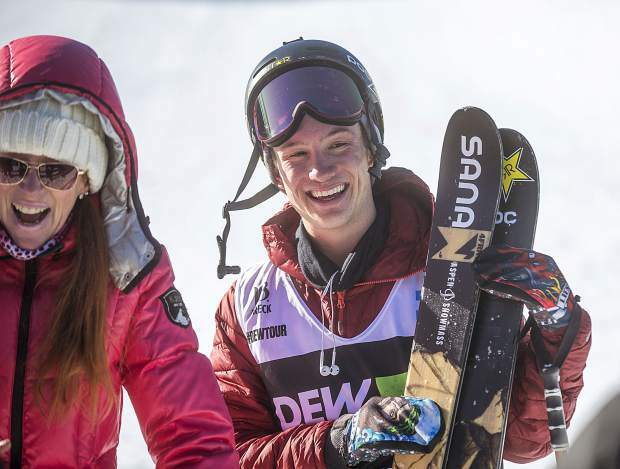 After Ferreira landed his winning 90-point run through the modified superpipe, he said in an interview on the Dew Tour television broadcast that he would like to see 50 percent of International Ski & Snowboard Federation World Cup halfpipe competitions have modified features. Ferreira won his second consecutive Dew Tour via a run that consisted of a huge double-cork 1260 with a mute grab in the pipe. 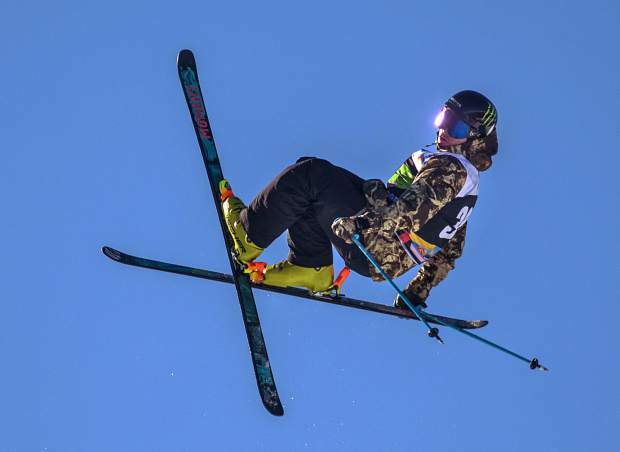 A week after winning at the Copper Mountain Resort Grand Prix, Blunck earned that second-place score of 86.00 despite struggling with speed coming out of the flattened bottom of the pipe. He hit the tombstone takeoff from the side, stomping his transition into the hip hits at the bottom of the course. 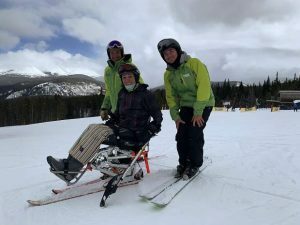 “It’s nice to see you have to get creative,” Blunck said of the modified course. 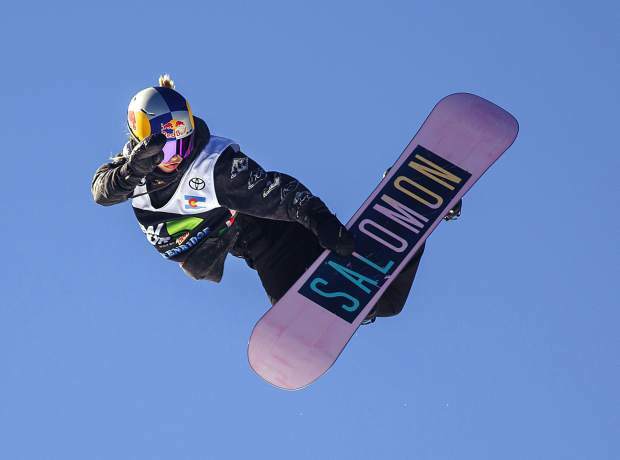 After the competition, Wise said he often is asked why the American team is so dominant in freeskiing and snowboarding events. To the prolific veteran, he thinks it gets to the core of their on-snow ethos. He said the U.S. riders have “the rebel spirit,” and are “here to do things differently than everybody else.” Wise said he’d even like to have a massive loft-jump feature at the top of a modified pipe course in the future, similar to the high air elements seen in BMX and motocross competitions. 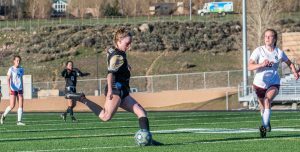 Sunday’s competition was partially marred though by a very serious injury sustained by Basalt’s Torin Yater-Wallace. Yater-Wallace had to be taken off on a sled by paramedics after he appeared to seriously injure both of his heels when he landed in the flat-bottom out of the tombstone feature of the modified pipe course. The impact of the fall also left him with a bloody nose. The scary-looking injury came during a strong run from Yater-Wallace after he executed a right alley-oop double-cork 900 on the tombstone and a stylish first hit in the pipe with a nose mute. Birk Irving, of Winter Park, finished fourth and Avon skier Taylor Seaton finished eighth.